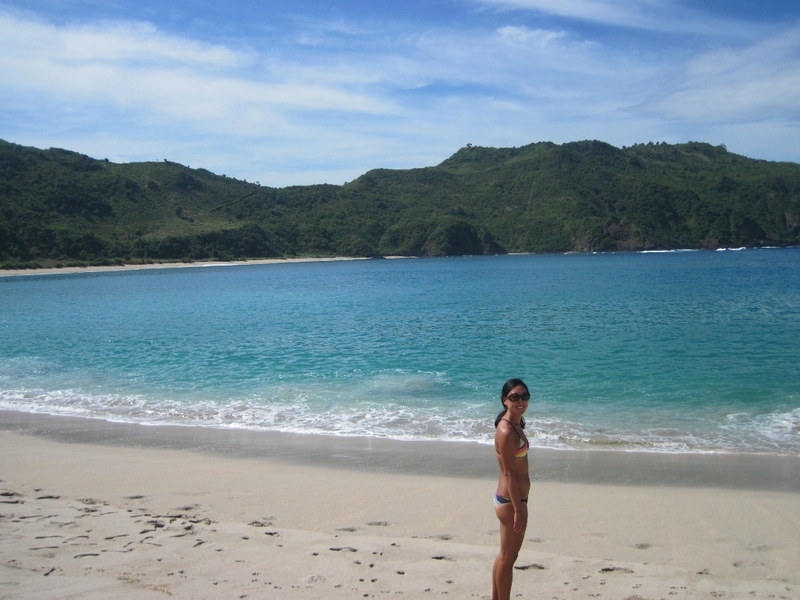 Indonesia: Surf, Swim, Snorkel, Scuba….Repeat. 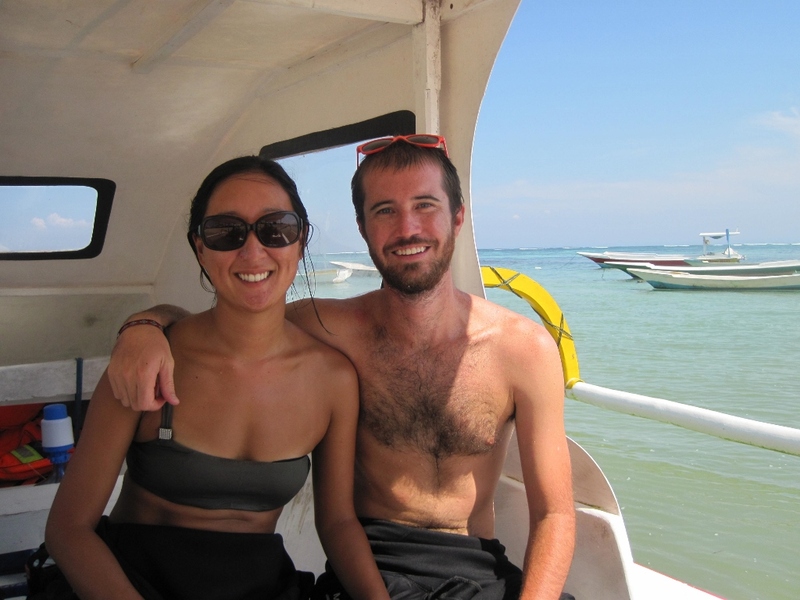 We left Gili Air and made our way to Kuta in southern Lombok. 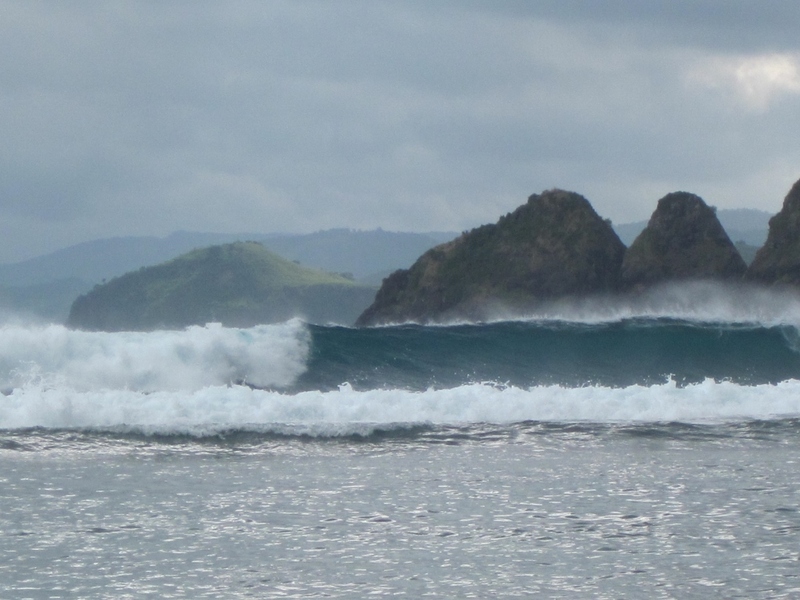 Our main goal for the next six days was to score some waves for Chris and we heard that Kuta Lombok was a surfer’s paradise. 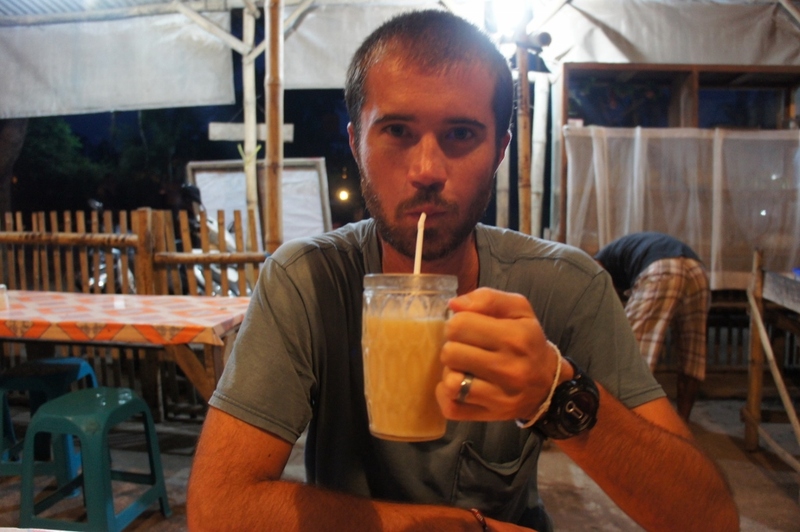 We arrived into town and checked into a guesthouse that was run by an American man and his Indonesian wife. 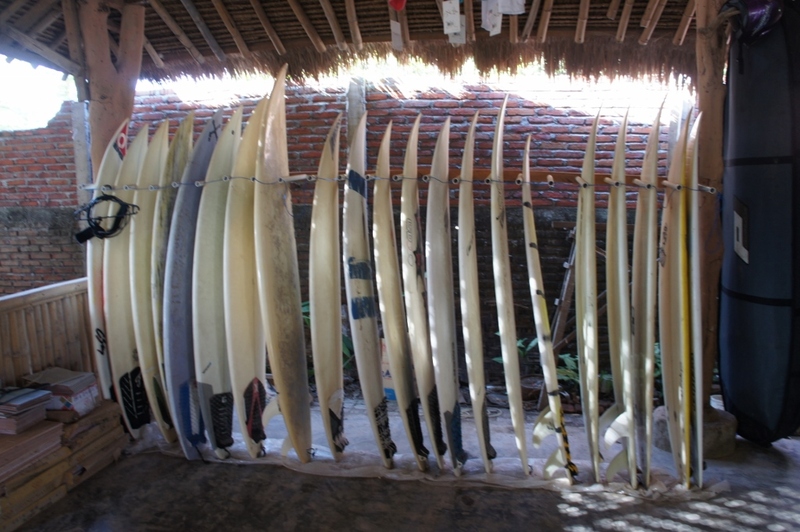 The owner is really into surfing and had tons of boards for Chris to choose from. We walked around Kuta Beach and were completely surprised to find that we were the only travelers on the two huge stretches of beach. 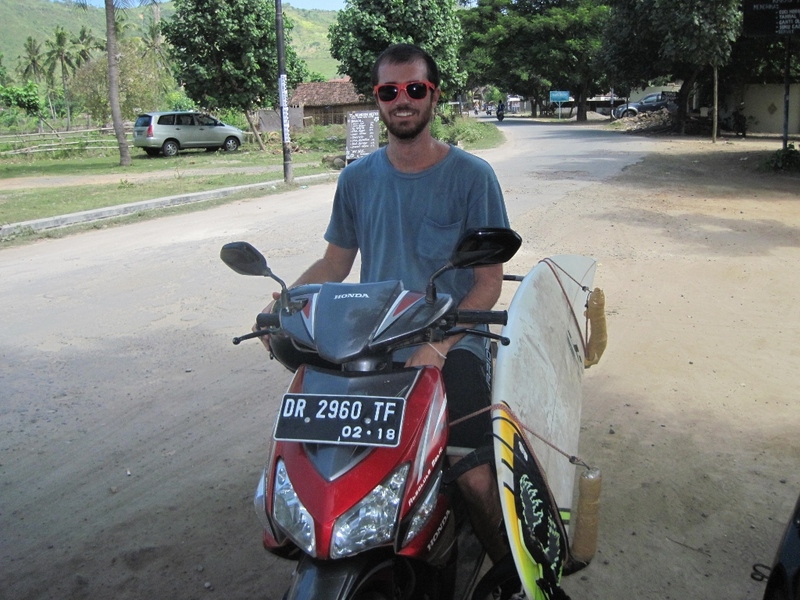 We rented a motorscooter outfitted with a surf rack from a local named Popcorn. We hopped on our hog and went off to explore the outskirts of town to get a better lay of the land. 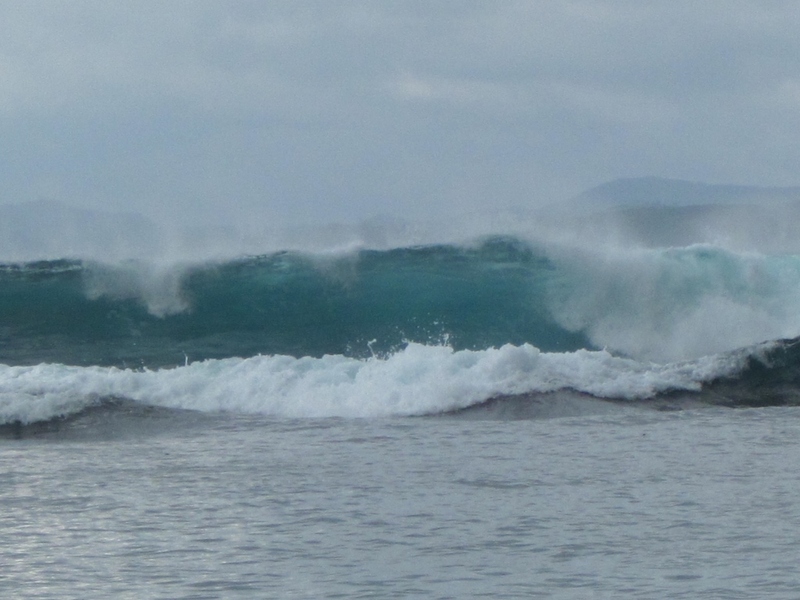 We started to head west until we reached Mawan Beach where some huge shore break was rolling in. 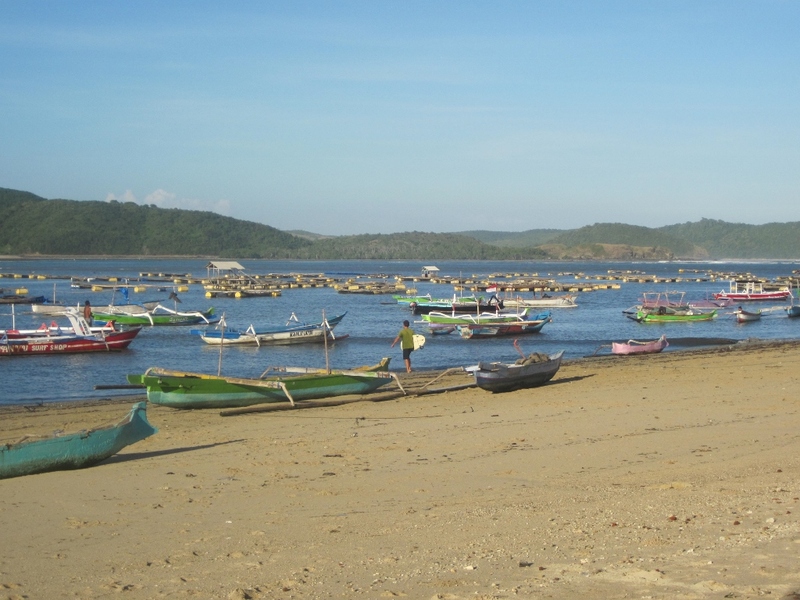 We hopped back on the bike, headed back through town and continued east towards Gerupuk, a small harbor town where boats are hired to get to the surf breaks offshore. The sun was setting so we talked to the locals and got the low-down for Chris to return the next morning. The locals excitedly pointed to the breaks in the distance claiming the swells were “like a tsunami!” Apparently we had come at the perfect time for some killer waves. The next morning at 6AM, Chris met with two Canadian girls who were also staying at our guesthouse and rode out to Gerupuk to hire a boat out to the breaks. There are different breaks suitable for all levels of surfers and since the Canadians were still beginners, the first stop was at Don Dons. 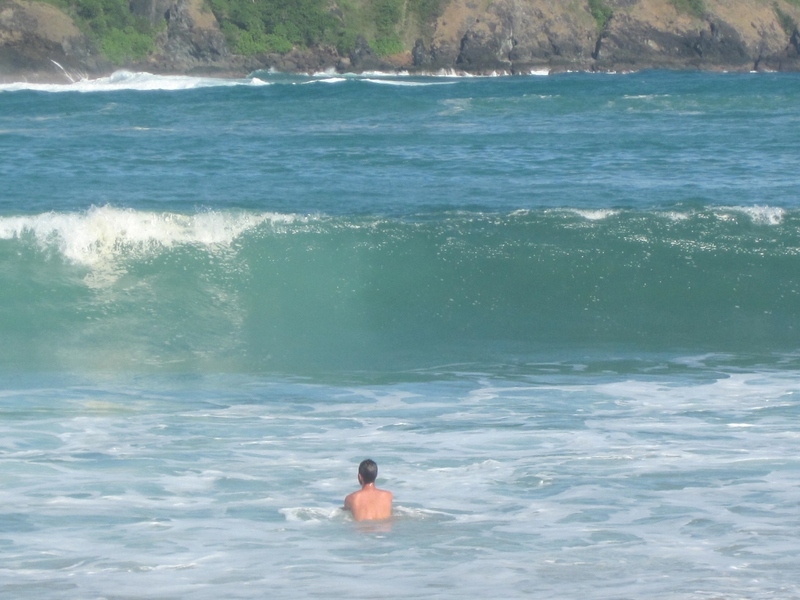 The Canadians had been surfing Don Dons every day for the past week but when they saw how big the waves were that day (1-2 foot overhead with some larger sets), they waited in the boat for 30 minutes contemplating if they should paddle out or not. 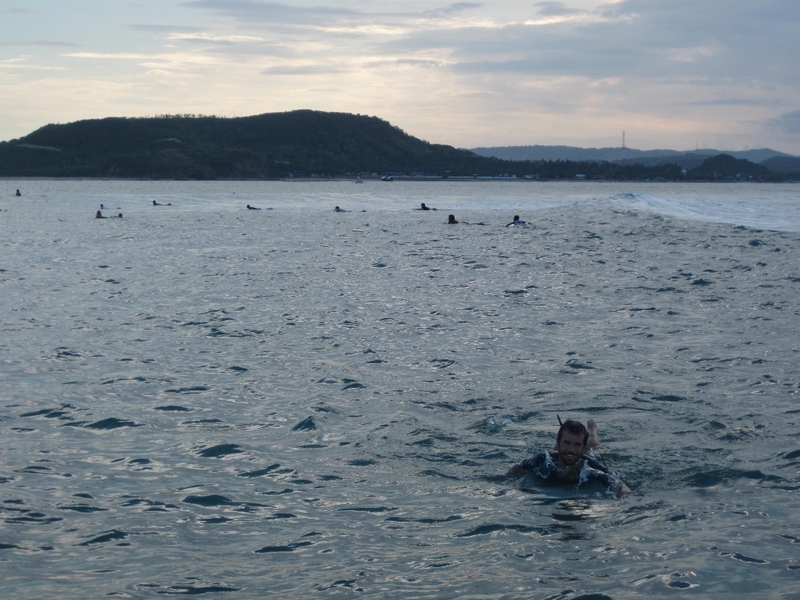 Chris was stoked and surfed there for the next few hours until the boat took him back to shore. He never even made it to Insides, the more intermediate level break, because they were just too big (double overhead and larger)! The next afternoon, I went along for the boat ride. The waves had substantially died down and the break at Don Dons was almost non-existent. Amazing the difference one day can make! 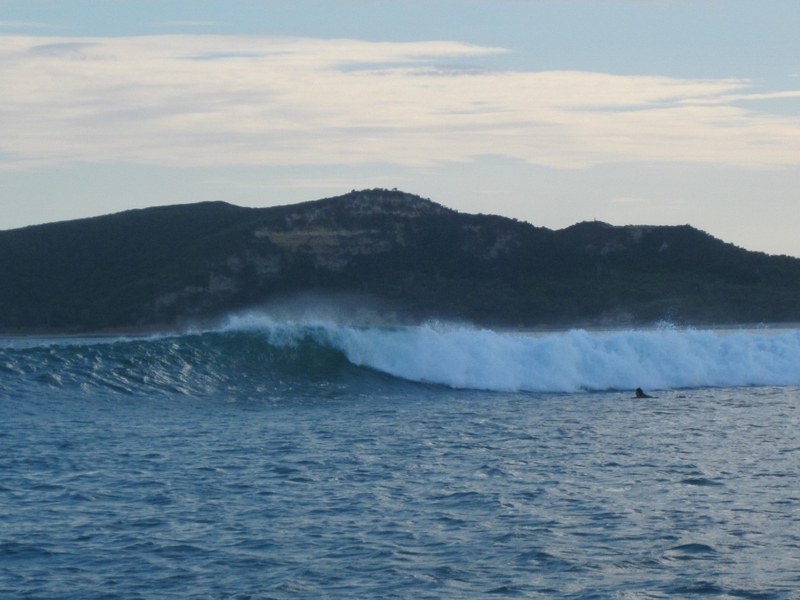 We hired a boat with two Dutch and went out to Insides where the waves were head high. This is the day that I realized that I’m terrible at capturing surf footage. I don’t know if it was the position of our boat behind the swell, the challenge of trying to spot Chris in the lineup or our camera’s crappy zoom and dying battery that led to my many failed attempts at capturing him riding the waves in. 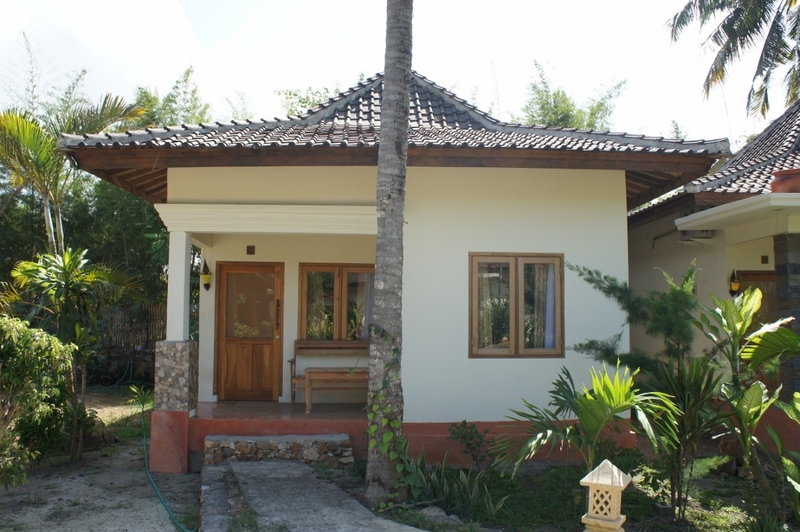 After a few days in Kuta Lombok, we moved down the street to Kuta Cove Hotel for our last two nights. 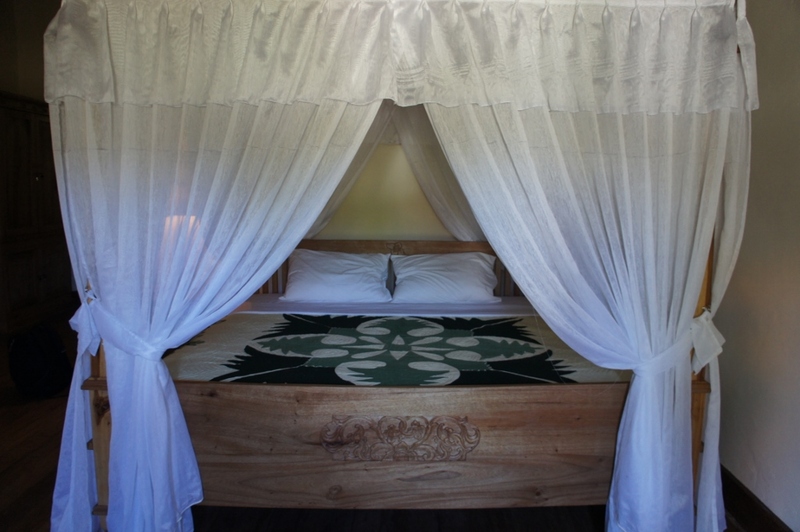 Our private bungalow, situated around a grassy knoll, was just one of the 11 newly constructed rooms available. 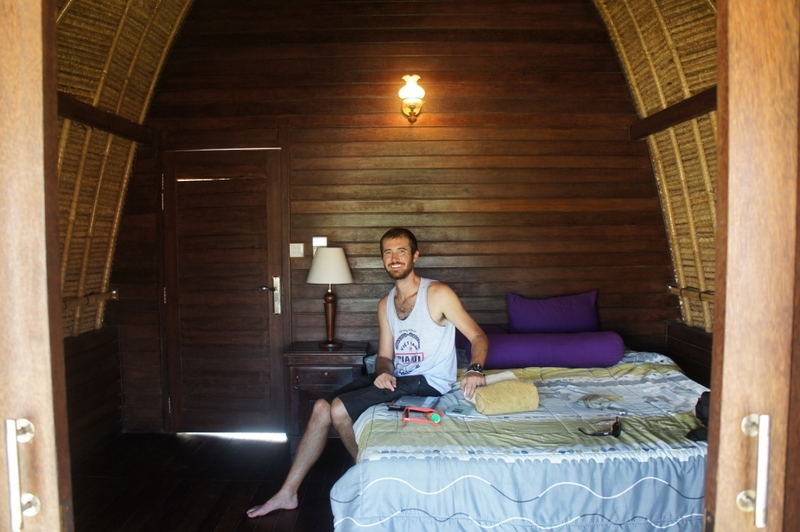 Our bungalow, the Sultan Suite, was incredibly spacious with beautiful teak furniture, a huge bed and air conditioning (it gets HOT in Indo so air conditioning is a savior)! 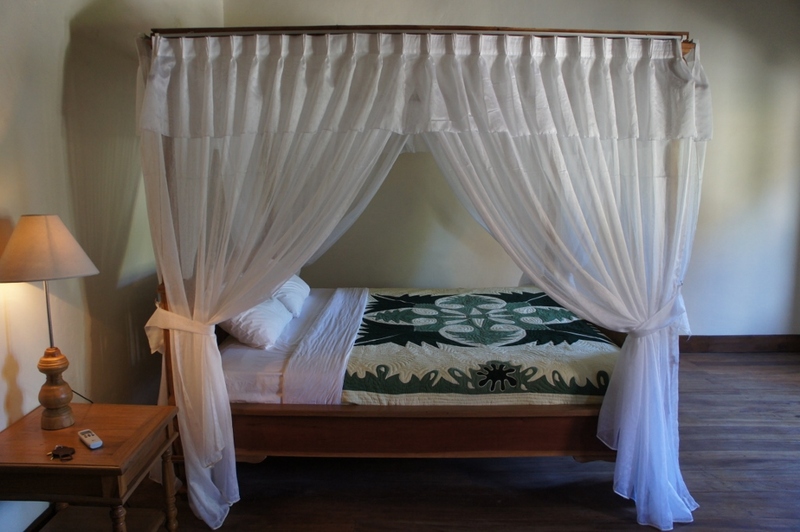 The rooms are clean with brand new linens and fluffy white towels. At the moment, the showers only have cold water but this is very normal for the area. The website indicates that each room has a flat-screen TV and mini fridge but they have yet to be installed. We didn’t have a need for a TV, but if that’s your thing, they are hopefully working on getting these put in over the next few months. They have super speedy WiFi which we put to good use updating the ole blog! Breakfast is included in every reservation. We had two choices and ordered the banana pancake both times with our morning coffee. 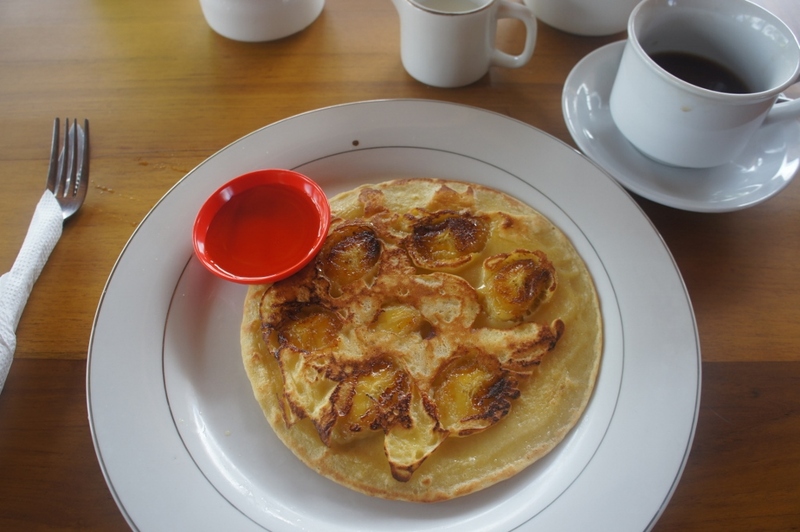 Hands down, it was the best banana pancake we’ve had on our trip and that’s saying a lot considering we just left the “banana pancake trail” (the traveler circuit through mainland SE Asia). 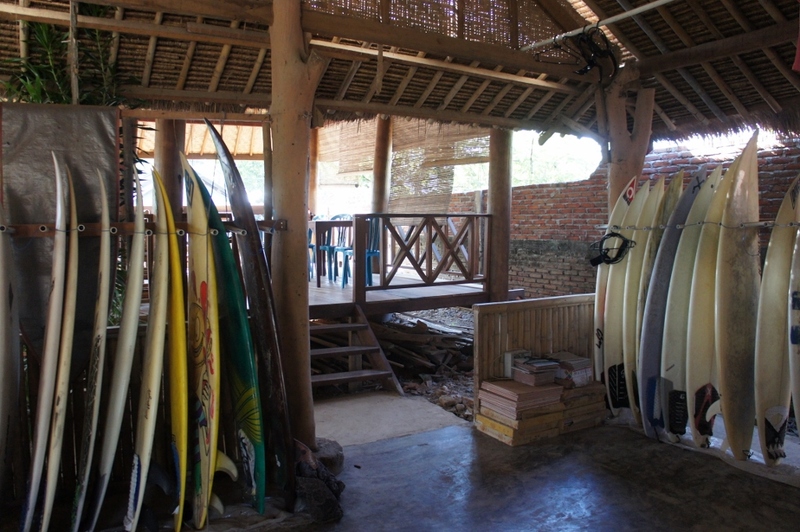 The location of the hotel is the best, especially if you plan on surfing and beach hopping. It’s centrally located and anything you may need during your stay is just a few steps away. 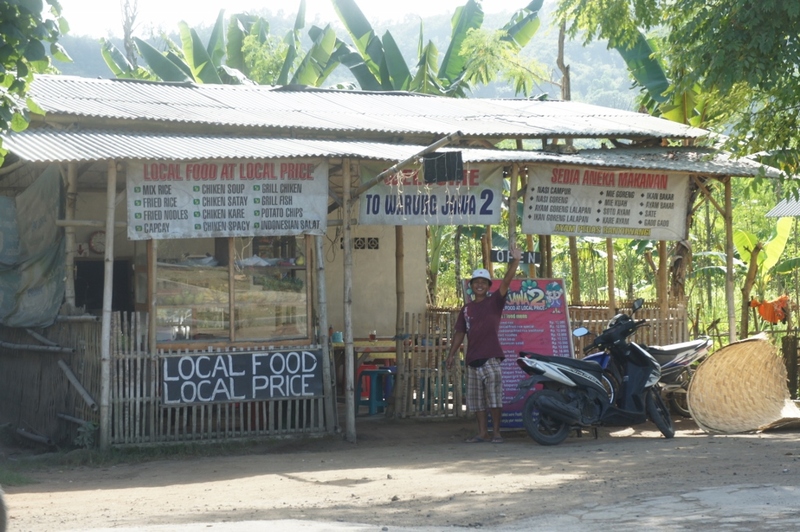 Lucky for us, it just so happened that our favorite warung was just across the street! Warung Jawa 2 was recommended to us the first day we arrived in Lombok. Husband and wife owners Toto and Is serve up heaping piles of delicious Indonesian food for only $1.20 (easily the best deal in town). After our first meal, we knew we’d be back again and again. 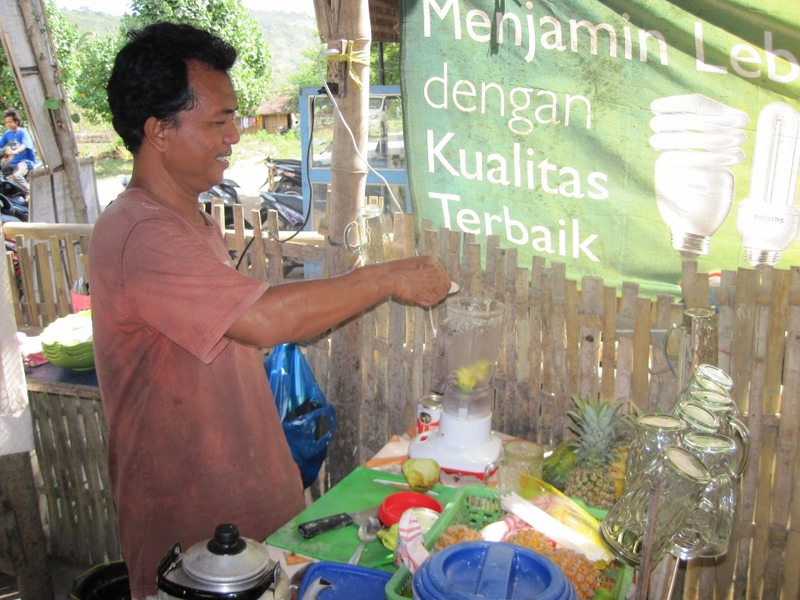 Our favorite dish was the nasi goreng (Indonesian fried rice) but they also made amazing fresh fruit juices. 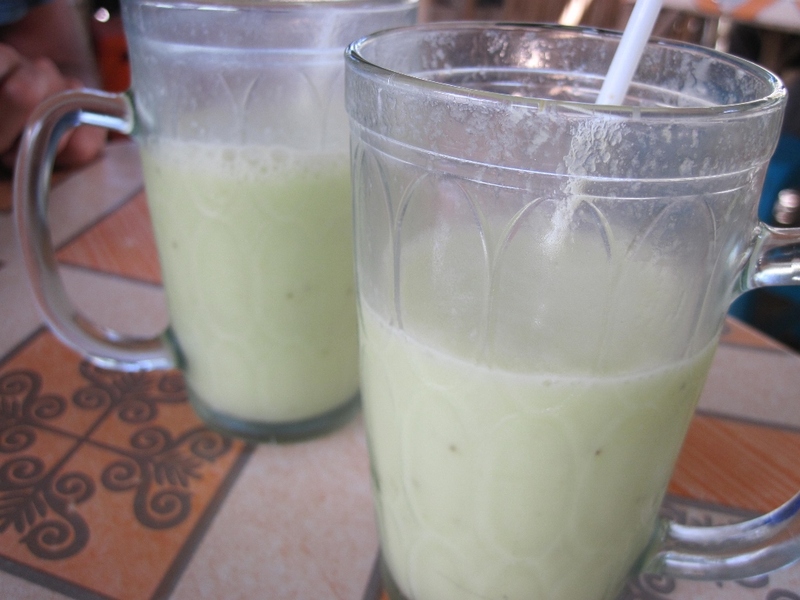 We were hooked on a banana, papaya, pineapple and lime juice combo until Is made us an avocado, banana and lime juice mix. So good and so cheap…just 60 cents a glass! When Chris wasn’t surfing, we’d take the motorbike out to one of the nearby beaches. 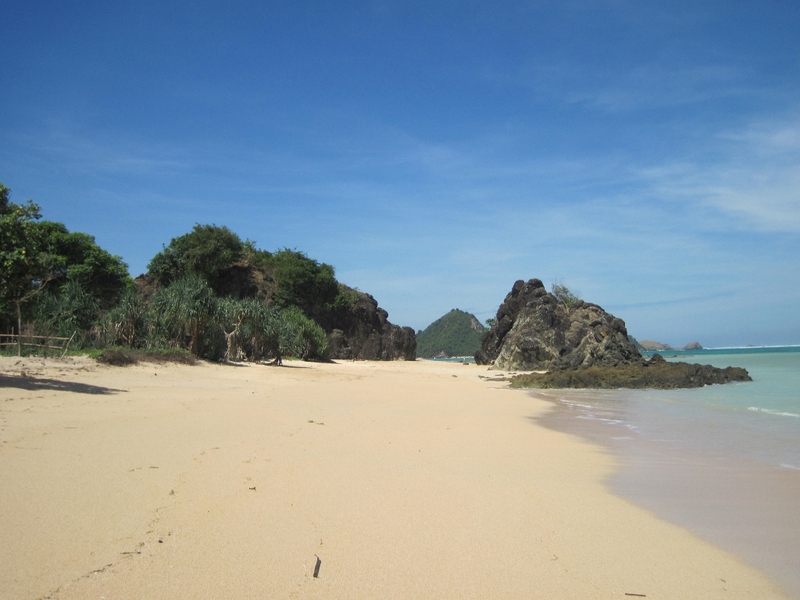 Our favorite was Mawan Beach because hardly any tourists visited and it was a short and scenic 20 minute motorbike ride away (we’d often be stopped by herds of cattle crossing the road). We’d have the whole beach to ourselves with the exception of the occasional school bus that would come and offload a hoard of kids for a few hours. When this happened, we both became celebrities… especially Chris because they loved his white skin. There were literally lines of kids waiting to take photos with us. A few of the kids were too shy to approach us so they’d (not so) secretly take photos of us from their camera phones. We also made it out to a few beaches that were a bit farther away. 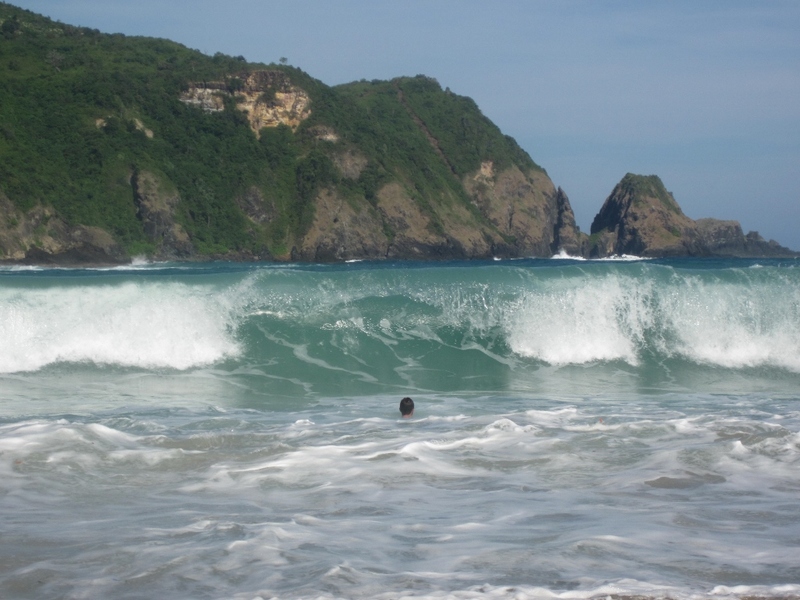 We stopped at Selong Belanak beach and also Mawi beach where the waves were ginormous. We brought the board but Chris didn’t paddle out. After five days of surfing, he was beat and the swell looked like they were putting up a good fight that day. We swam and watched a storm roll in before struggling to make our way back to town on the incredibly muddy roads. Thanks to Kuta Cove Hotel, on our last day in Lombok we were allowed to checkout in the late afternoon so we could go to the beach in the morning, hit up Warung Jawa 2 for lunch and enjoy the comforts of our room before catching our flight to Bali. 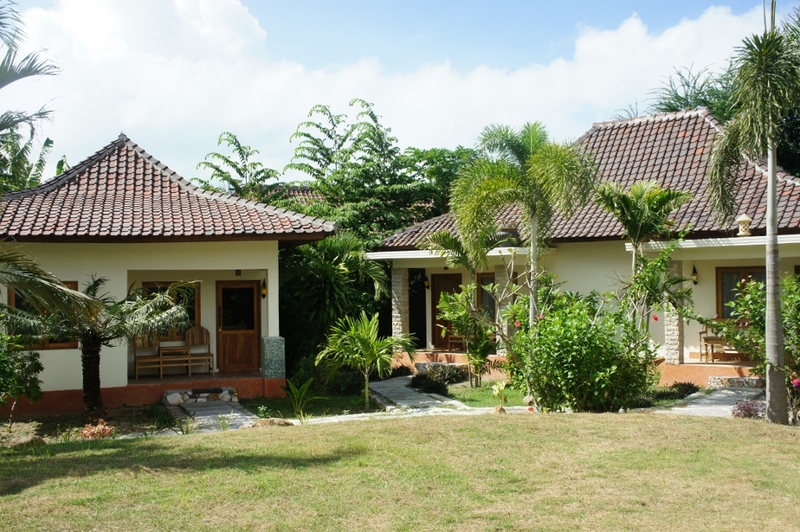 If you are looking for a clean, private room with strong WiFi in a prime location, check out Kuta Cove Hotel. It would have been amazing if there was a pool on location and turns out, a pool is in the works and is planned to be completed at the end of 2013. We had a good stay with them but think the best is yet to come as they start to fully complete their rooms and amenities. To make a reservation or for more information, visit their website, Like Kuta Cove Hotel on Facebook or follow them on Twitter. If we had more time in Indonesia, we would have continued heading east but we only had a little over three weeks in Indonesia and with one week left, we made our way back to Bali ($21 flights!). Our guidebook described Nusa Lembongan as the perfect place for diving, surfing and nice bungalows on the beach so that’s where we headed next. 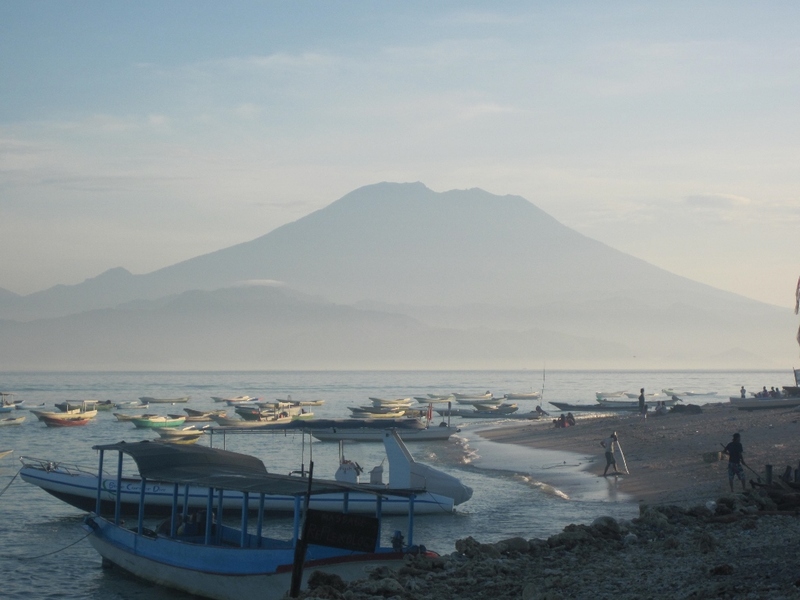 We spent the night in the harbor town of Sanur and woke up the next morning to take the local ferry to Nusa Lembongan, a small island, off the coast of Bali. 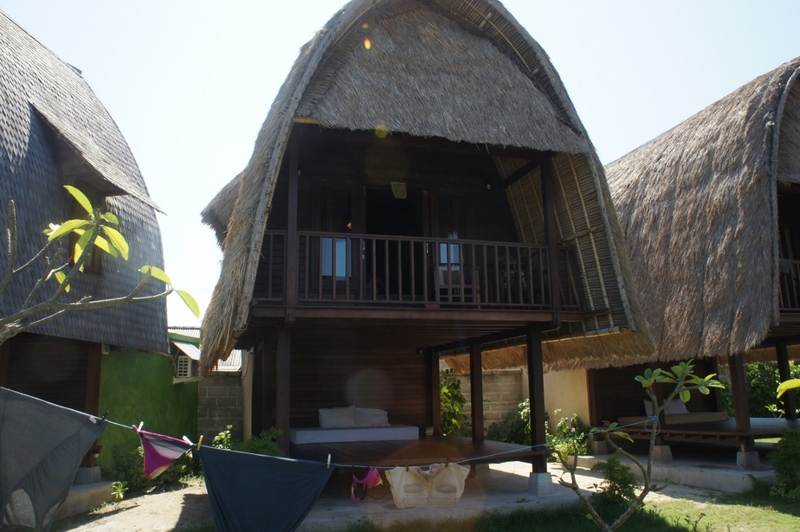 We checked into our awesome bungalow on the beach run by a sweet local man and his family. Thanks a ton to the Smittles for our Indonesian beach bungalow honeyfund. It was so cute and comfy…definitely one of the better places we’ve stayed in Asia! Our bungalow was right next to a dive shop where we booked two dives for the next morning. As an added bonus, they had an amazing infinity pool overlooking the ocean which we used almost every day throughout our stay. After breakfast the next morning, we walked over to the dive shop to get suited up for our first dive to Manta Point which is just off the coast of the neighboring island Nusa Penida. 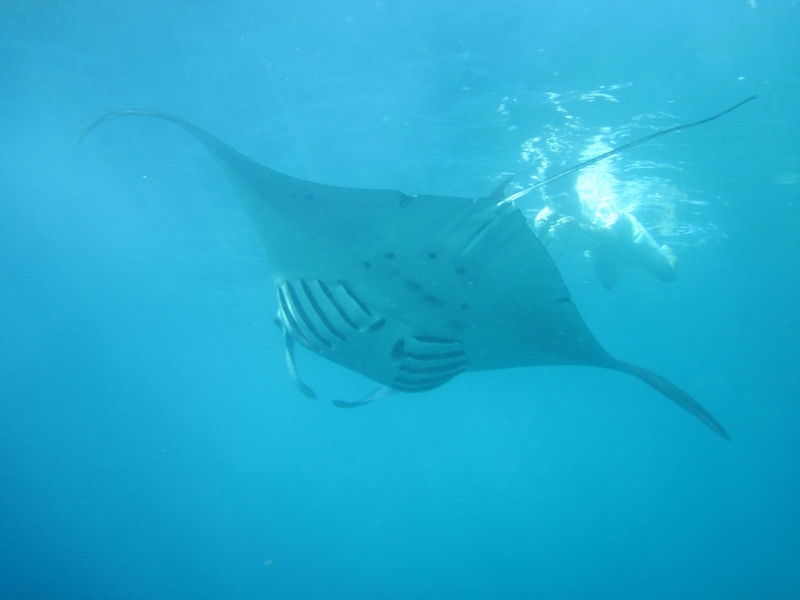 Just like the name indicates, we were here to look for manta rays (large eagle rays reaching over 20 feet in wing span)! 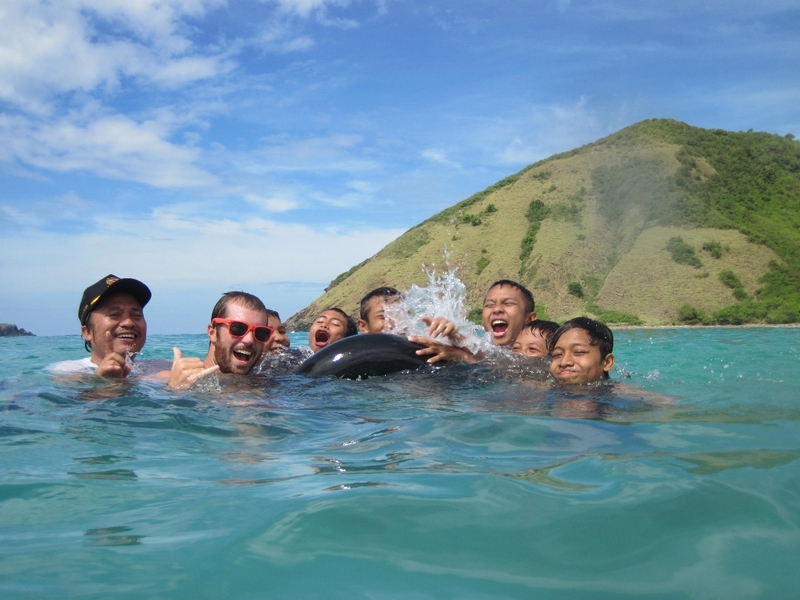 On the way out to the dive spot, we passed pods of dolphins and natural waterfalls along the cliffs…spirits were high! We patrolled the coastline and saw a ton of boats anchored together but we continued on looking for our own dive spot away from the crowds. Unfortunately, we couldn’t see any in the water so we turned around to head back towards everyone else. We saw a small manta ray on the surface but by the time we entered the water, all of the other boats were gone and so were the manta rays. We had told ourselves that we may not see one so we tried not to get our hopes up, but seconds before we entered the water, our dive instructor started telling us how we’re about to be swarmed with mantas and that its going to be one of the coolest experiences ever and blah blah blah! Disappointment is an understatement. We had lunch on the boat and continued on to our second dive spot, Crystal Bay. As the name suggests, the water here was crystal clear. It was like another world. The coral was incredibly colorful and so vibrant. 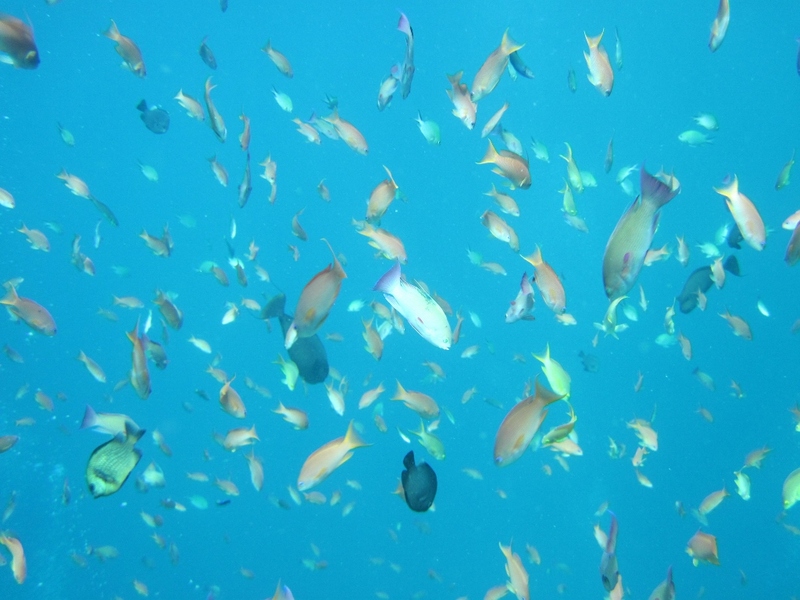 There were thousands of fish swimming around…the entire sight was amazing. 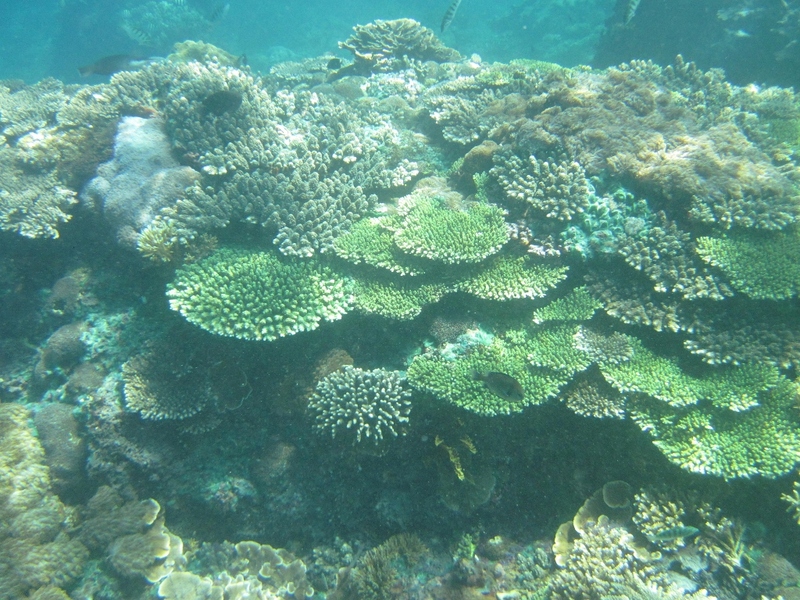 I’ve never seen so much reef activity before; it was just so densely populated with life. Before we knew it, we were back on the boat heading back. 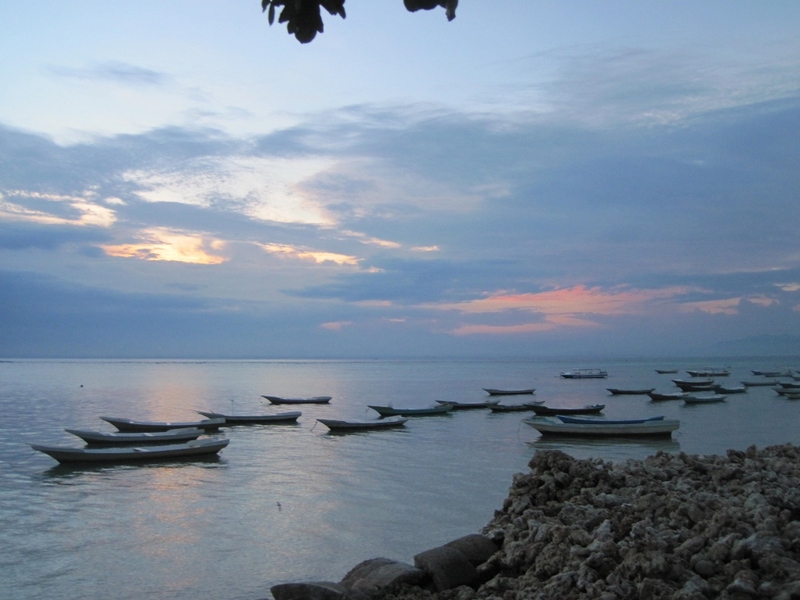 The next day, we rented a motorbike to explore the island and visit a few beaches. The beaches were nice but they were either tiny or had tons of boats parked in front. I think we had the best views of the water from where we stayed. 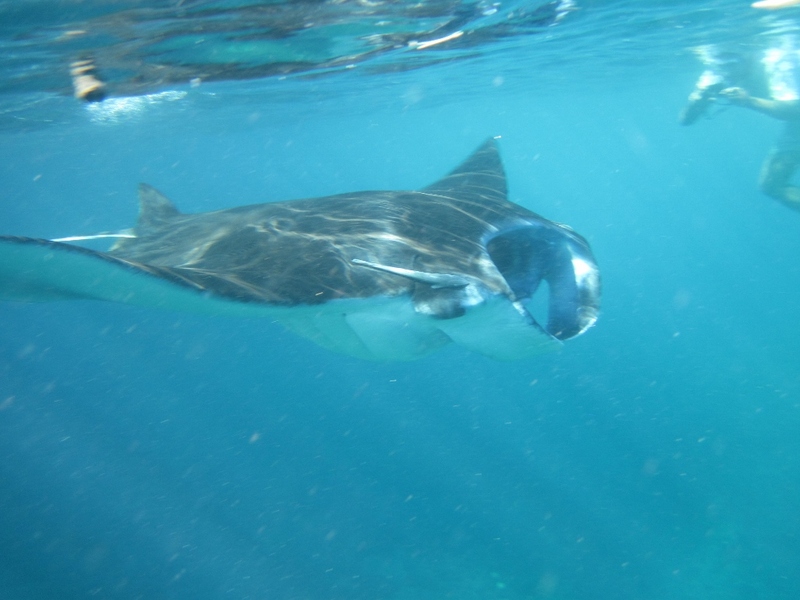 We decided we couldn’t leave Nusa Lembongan without seeing a manta ray so we signed up for a snorkel tour which turned out to be one of the best decisions of the week. Our first stop was back to Manta Point. This time, we could see at least three mantas from the boat and when we jumped in the water, there they were….so beautiful and graceful! 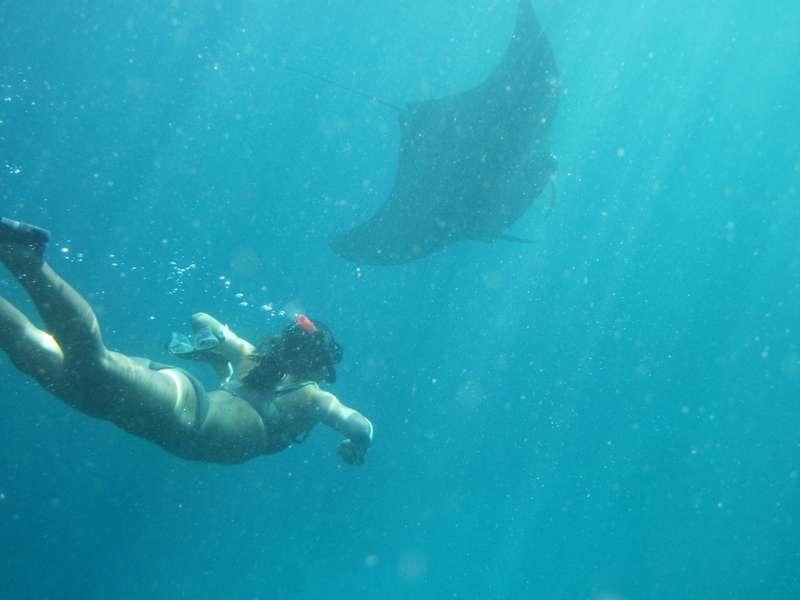 We swam with about five different manta rays for the next hour. 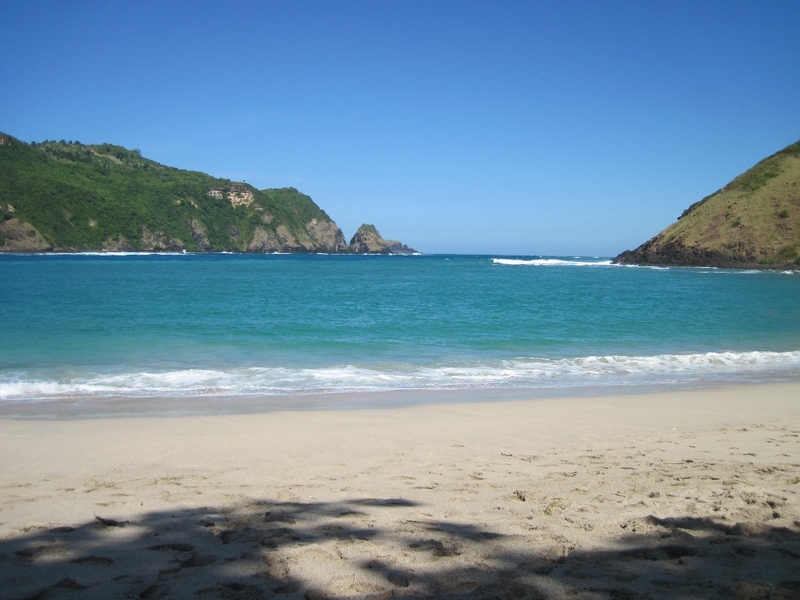 We were taken to our next spot…Crystal Bay where we were excited to see a few more mantas. 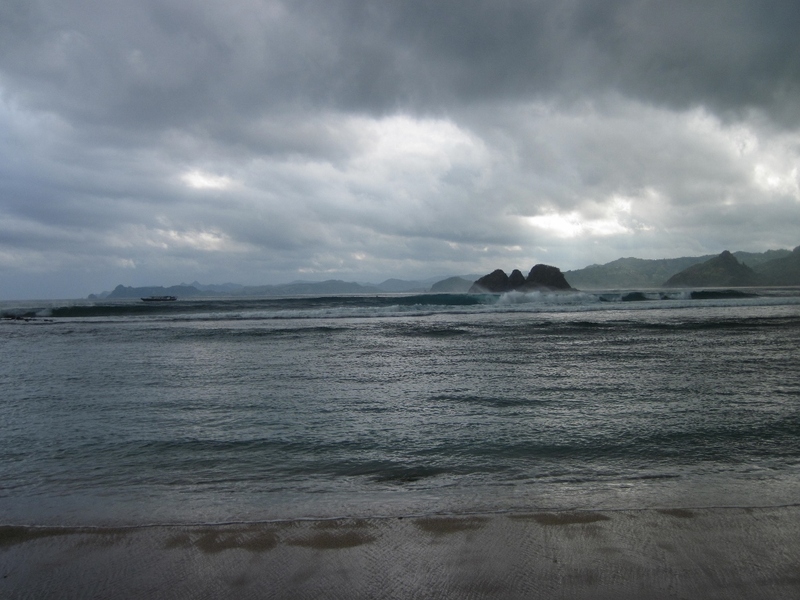 This time, the water was much cloudier than our previous visit scuba diving; I don’t know if it was the rain from the night before or that the sun wasn’t directly overhead. Such a bummer since we had the camera with us this time. Our snorkel boat took us to a total of five different spots, each different and unique in their own way, before taking us back to our guesthouse. 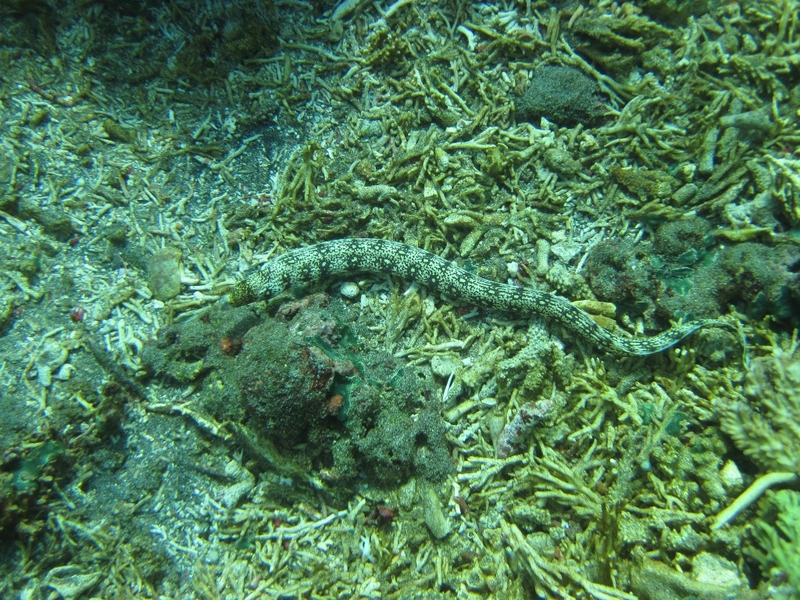 Between the dives and the snorkeling trip, I think we were able to experience the best of both worlds! On our last full day on Nusa Lembongan, Chris rented a surfboard and paddled out right in front of our bungalow to Shipwrecks. 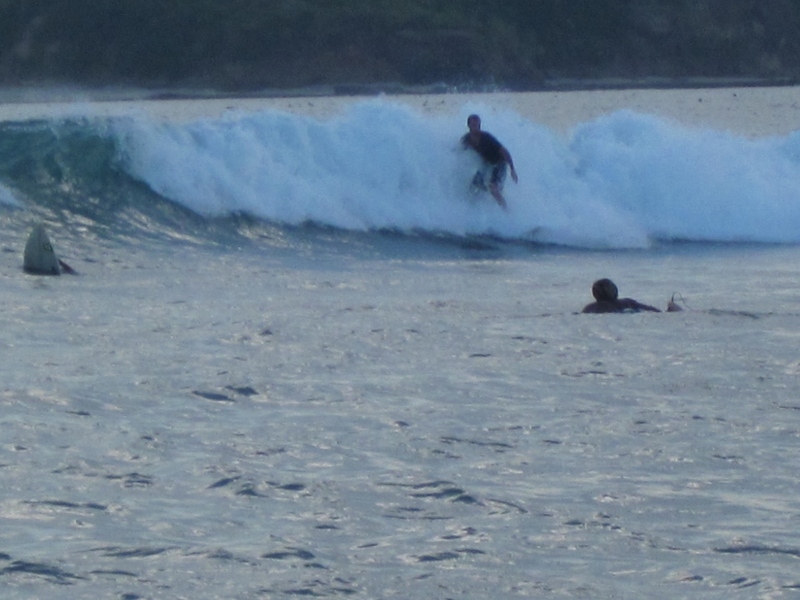 The waves were waist to chest high but were still a fun ride. 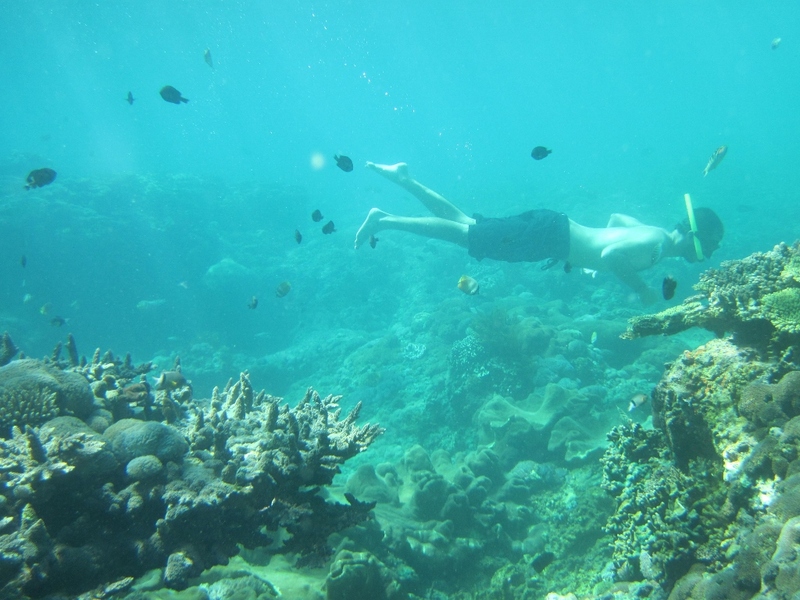 I rented snorkel gear and swam out in front of the neighboring mangrove forest until I saw tons of coral and reef fish. I was about 300 yards from the shore and completely alone in the middle of the ocean so naturally I started to freak out and started to head back in. 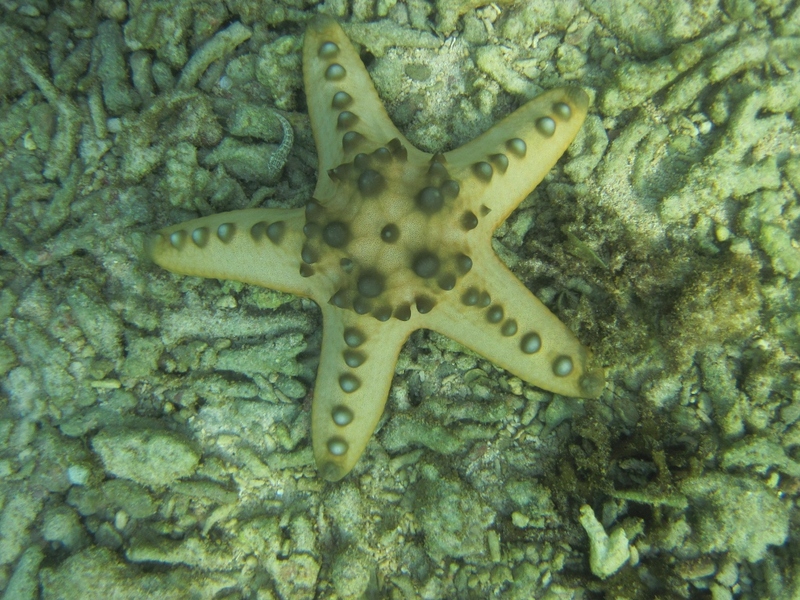 On the way back, I saw a species of starfish I haven’t seen since our snorkel trip to the Galapagos! Nusa Lembongan doesn’t have an ATM so we had to estimate how much we’d spend on the island for a week. When we arrived back to Bali to catch our flight, we had some extra dough to spend so we got Chris a haircut, stocked up on toiletries and treated ourselves to massages. The $4.50 for an hour long full body massage was definitely well spent. I think its slowly hitting us that we’ll never find those kind of deals when we are back in the States! Wow…Indonesia is definitely one of our favorite countries. There are several places where we felt we’ve seen and done it all, but Indonesia is not one of them. We hope to return sometime in the future to visit the more remote islands. 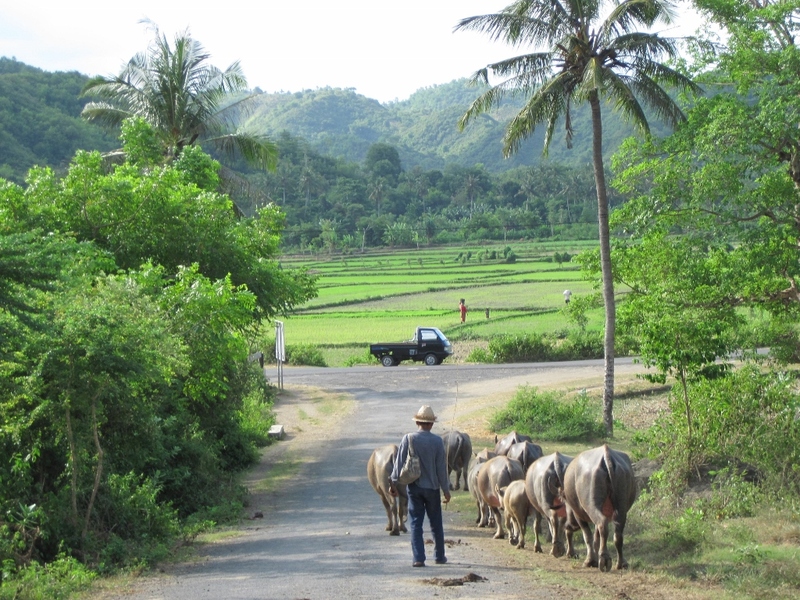 Although Bali was great, if we came back again, we’d go straight to Lombok and head to the islands east towards Komodo or north towards Sulawesi. We contemplated staying in Indo for six weeks but decided against it so we could squeeze in three weeks in the Philippines, our next destination. Here’s to hoping we made the right decision! 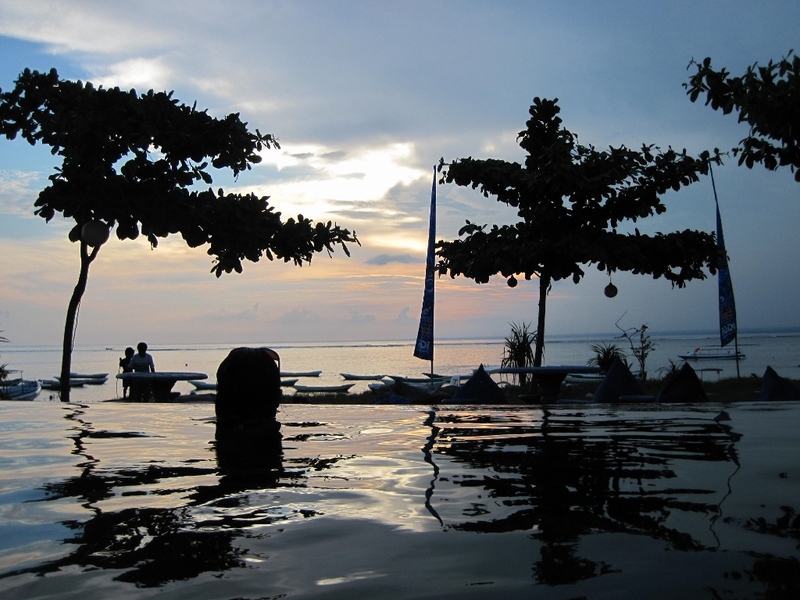 Disclosure: We received a complimentary stay at Kuta Cove Hotel in exchange for sharing our experience. These thoughts and opinions are completely our own. great pics and updates! love to both! 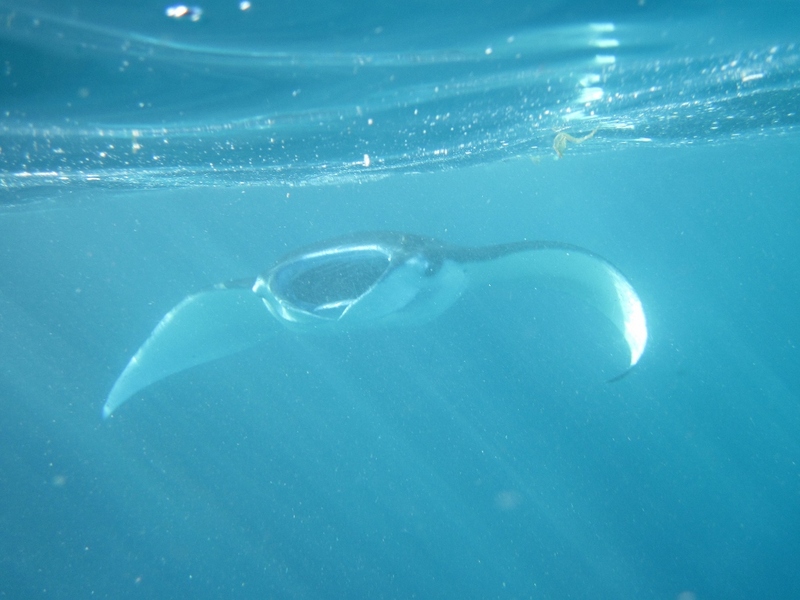 Oh manta rays, so jealous! We are counting down the days to your SF arrival!! Heading to FL and Sav for a week before then, but I’m sure you’ll still easy out-tan us (for life). 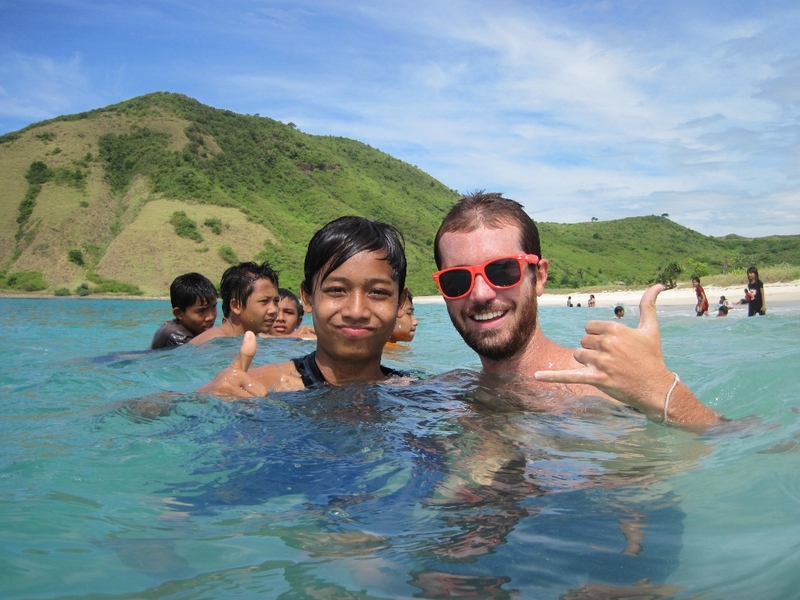 Love the pic of Chris in the water w/the local kid!